Kathleen’s YA list includes Laurie E. Flynn’s boundary-pushing contemporary FIRSTS (St. Martins/Macmillan); Lisa Maxwell’s spellbinding UNHOOKED (Simon Pulse/S&S); Marci Curtis’s heartfelt contemporary THE ONE THING (Disney*Hyperion); and Breeana Shields’s gripping fantasy, POISON’S KISS (Random House/PRH). 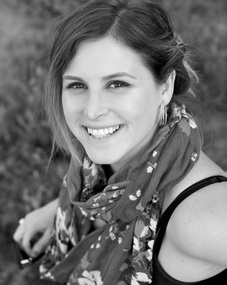 Some of her middle grade titles include Lois Sepahban’s moving PAPER WISHES (Margaret Ferguson Books/Macmillan); and Jess Keating’s humorous My Life is a Zoo series (Sourcebooks). Recent picture book releases include Josh Funk’s riotous LADY PANCAKE AND SIR FRENCH TOAST (Sterling); Lori Alexander’s imaginative BACKHOE JOE (HarperCollins); and Jess Keating’s clever PINK IS FOR BLOBFISH (Knopf/PRH). Some topics that are close to her heart (and that she’d love to find incorporated into picture books or novels) include environmentalism and conservation; animal welfare; women in science, literature, and technology; and little known events or people in history. She’d like to find diversity in all of the above. Kathleen is not looking for poetry collections, alphabet books, anything where the lesson overshadows the plot, or religious texts. In addition to her children’s list, Kathleen also represents select adult non-fiction and is interested in mind/body/spirit books. $25 -- at least as a starting bid. What a wonderful concept!